This Sterling Silver Rhodium Plated Rainbow Topaz & CZ Ring (Ring Sizes 4 to 9) is currently selling for just $16.95 on Amazon.com! 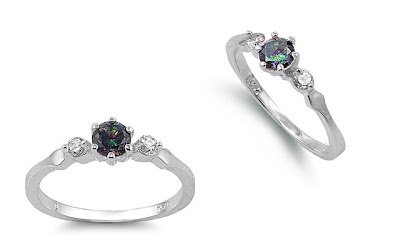 You will be saving 62% off the listed price of $44.30 with this jewelry deal. What I like about this rainbow topaz ring is that it comes in smaller sizes, so it would be the perfect first gemstone ring for a teen.